4 Who Is Autel ML619 Built For? The Supplemental Restraint System (SRS) and Anti-Lock Braking System (ABS) are very important in your car. The ABS system ensures that your car’s wheels maintain traction on the road upon braking. While the SRS system prevents any impact on your face and chest after a collision. 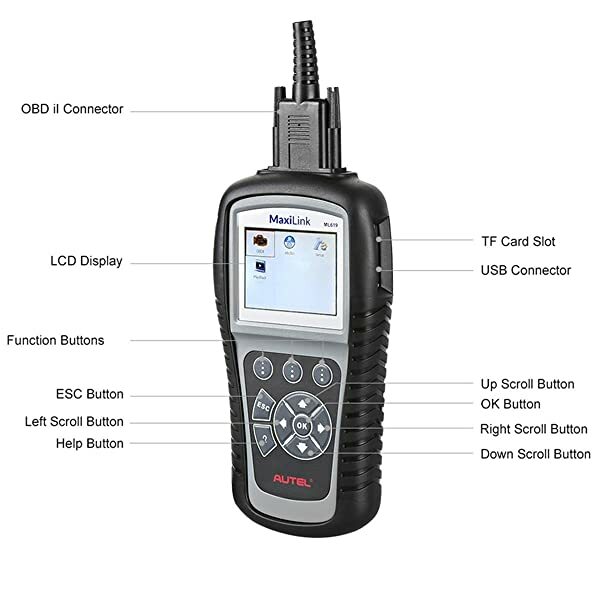 The Autel MaxiLink ML619is a hand-held unit which can read error codes from the SRS and ABS systems. The code reader is capable of identifying what’s causing your ‘Check Engine’ light to stay on. It can also reset the monitors and clear any error codes too. When any trouble occurs with these safety systems, freeze frame data is captured. This OBD2 code reader is able to access this data, read it and correct the errors. In addition to that, the unit can turn off the malfunction indicator light. 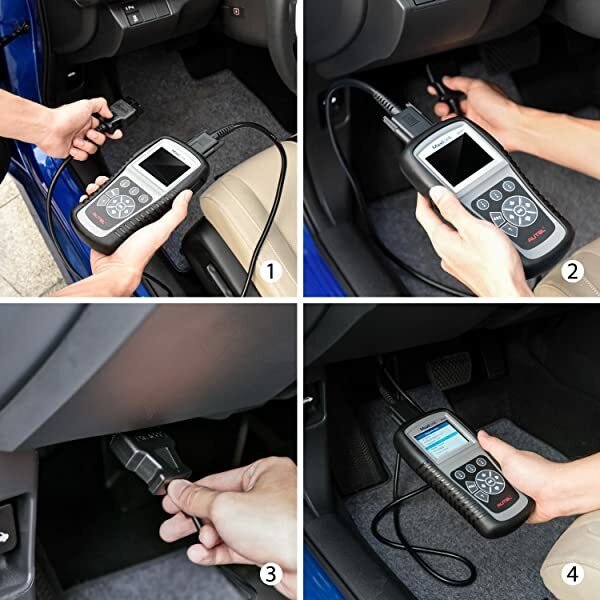 By using this code reader, you can gain access to a wealth of car information. The unit is able to read data such as the Vehicle Identification Number (VIN), CVN and also the CALID. This information is highly valuable for record purposes or car tracking. The Autel MaxiLink ML619 is able to read test data from the O2 sensor and perform dynamic data streams. It is also able to read the I/M readiness status of emissions and display the result of its monitoring efforts. 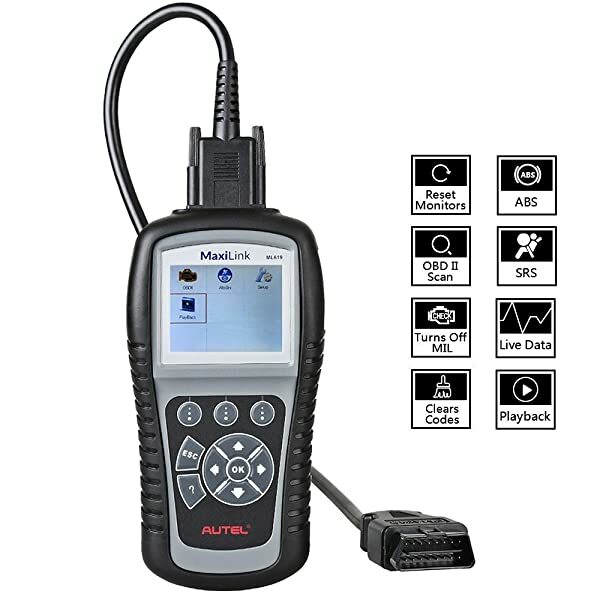 Autel Maxilink ML619 offers full OBD2 Functions. As such, by using this OBD2 code reader, you can identify the status information of the O2 sensor at any time you want. This reader can actually be used as an onboard additional accessory for your car. Seeing as it is able to read the status of components and control them, you can perform on-board diagnoses with it on demand. It is user-friendly because of the simple using process. Thanks to this capability, you can use the device to perform emissions tests on the go and avoid any fines. 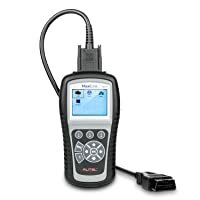 While using the Autel MaxiLink ML619, you get some code tips on how to troubleshoot the various electrical systems of your car. This can help you or your technicians to get to the root cause of your car’s problems much quicker. This saves the time used for diagnosis or repair. This device is able to support information display and presentation in various languages. You can set it to display data in English, Spanish, and even French. The reader displays menus and DTC definitions in the language that you choose. 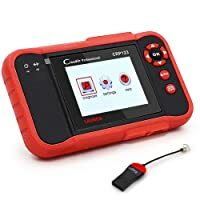 This code reader can operate comfortably when connected to quite a wide range of vehicle models. As long as a vehicle model was released in 1996 and later, this code reader can work with it. 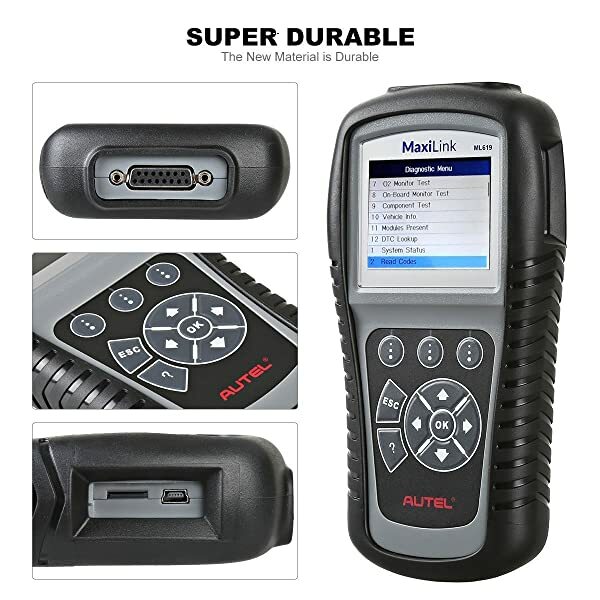 Autel ML619 is one of the most productive automobile diagnosis devices available. Examples of the models which it can analyze include Volvo, Toyota, BMW, Land Rover, Nissan, Peugeot, Fiat, Citroen, Renault, Jaguar, Hyundai Honda, Ford, and Chrysler. Autel ML619 can read, store and playback live PCM data and sensor data. The software within this OBD2 code reader can be updated on demand throughout its lifetime at no extra charge. You can simply use a USB cable and connect it to your computer and then update it. This automatic scanner features thoughtful design. Moreover, you can print out its results on paper in case you need to consult other experts on the condition of your car. The Autel MaxiLink ML619 has an ergonomic design which makes it fit in your palm quite comfortably. The material of Autel Maxilink ML619 is super durable. In addition to that, the main device unit is compact, its connector can be demounted and it comes with a fitting bag. Thanks to this form of packaging, you can store it in your trunk, glove box or toolbox. Some consumers have tried to update the device with no success. After connecting it to their computers, they were unable to connect to the website containing the update software of this OBD2 reader. As such, updating was impossible. It has a 2.4-inch color screen. Despite being vivid, the screen is a bit small when compared with other readers in the market. As such, drivers and auto mechanics cannot read the information quickly with a glance. 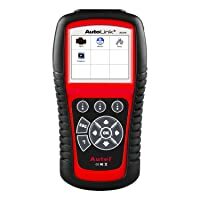 Bottom Line Autel Al619 is a great pick of OBD2 scan tool for average vehicle owners. Autel ML619 is built for average car owners and DIYers. Launch CRP123 is a helpful tool for average car owners & DIYers. Who Is Autel ML619 Built For? Autel Maxilink ML619 is built for use by average car owners. That’s because it is actually very easy to use. Thanks to its versatile nature, it can be used to scan your car on a day to day basis. 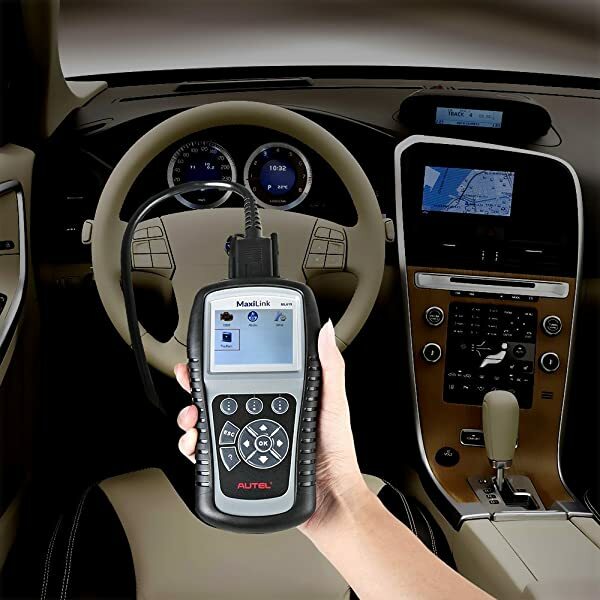 Autel ML619 OBD2 scanner is one of the most productive automobile diagnosis devices available. It has a collection of qualities which make it more user-friendly and it is also compatible with many different vehicles. After purchasing this device, you can enjoy a one year manufacturer’s warranty as well as comprehensive customer support. Worried about the security of your car? Are you afraid that someone might get away with your automobile? This post will help you know about the Engine Immobilizer. The OTC 3418 HD Reader is a professional OBDII scanner. It is mainly built for professionals. 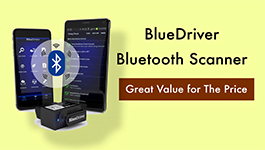 Moreover, it reads a wide array of DTCs for all types of cars.